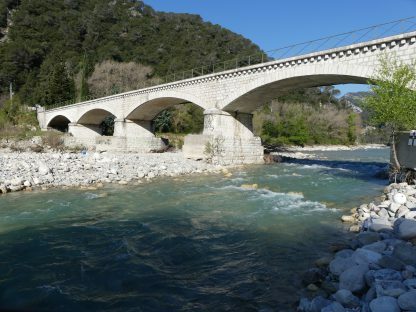 The East Mediterranean Flood Forecasting Department (SPC MEDEST) makes forecasts for the catchment areas of coastal riverŝ situated east of the Rhône. 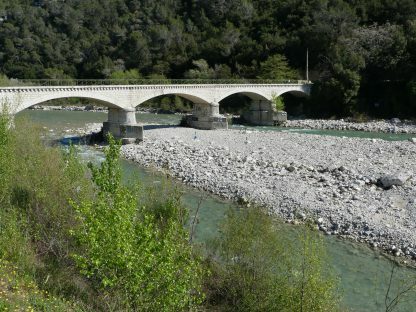 The SPC Méditerranée-Est’s missions are entrusted to Météo-France’s south-east department. 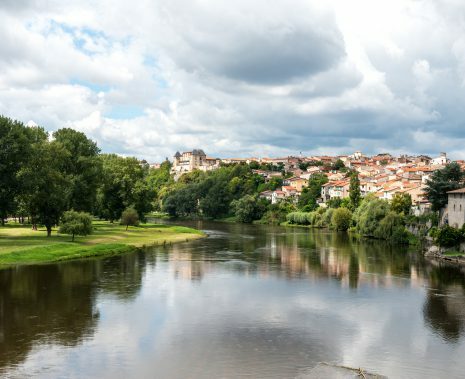 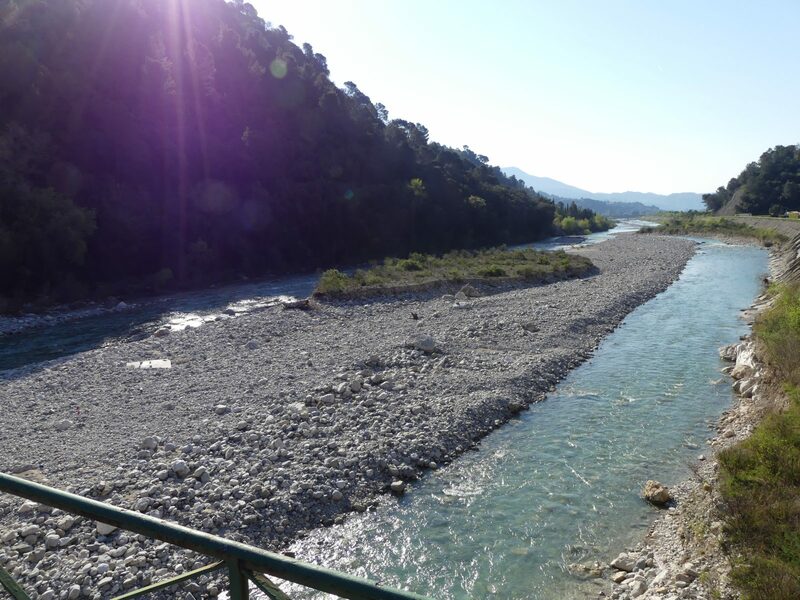 For operational field hydrometry services, the SPC-MEDEST flood authority relies on the Regional Environmental Agency (DREAL PACA) The Estéron river is therefore monitored by both the DREAL PACA and the SPC MEDEST. Situated in the Alpes-de-Haute-Provence and Alpes-Maritimes departments, in the Provence-Alpes-Côte d’Azur region, the Estéron is one of the major tributaries of the Var river. 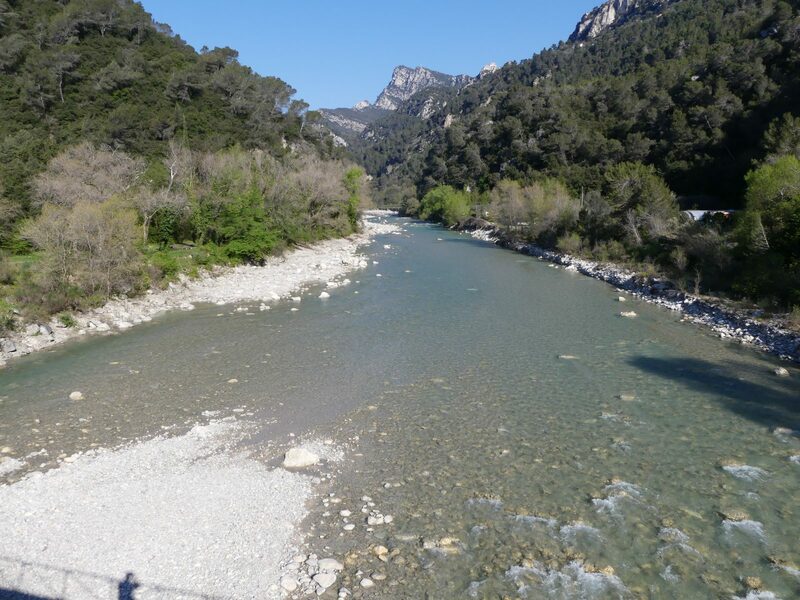 62 km long (120 km with its tributaries), the Estéron initially forms a “Mediterranean stream” fed by different tributaries which have hollowed out a valley that is very narrow in places and widens before its confluence. 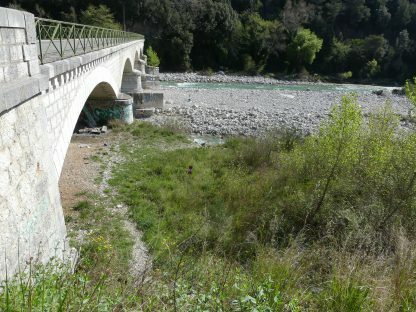 During the November 2016 floods, series of measurements were taken on the catchment of the Var. 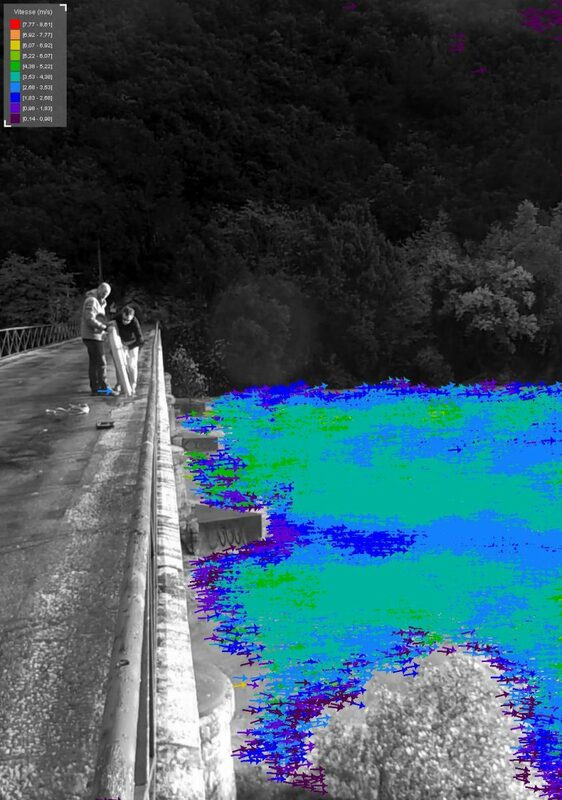 The DREAL PACA’s on-site hydrometers filmed the Esteron in flood when the conditions did not allow ADCP metering (too much solid material transport). 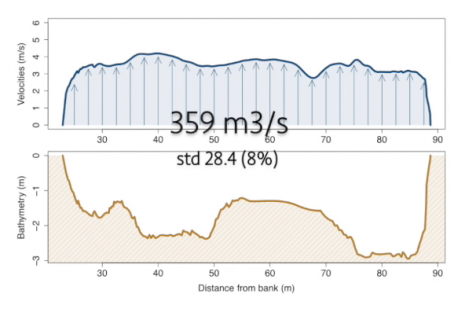 A few weeks after the event, the SPC asked TENEVIA to analyse the videos. 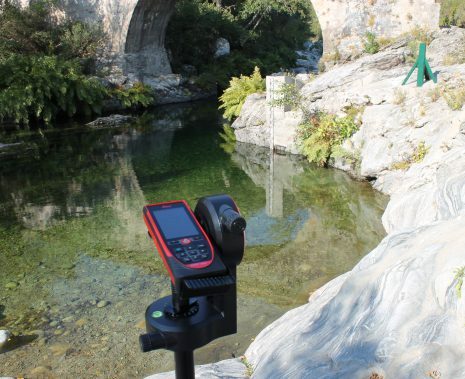 Using a topographical survey of the flow section and the FlowSnap hydrometric assessment software, the videos could be used. 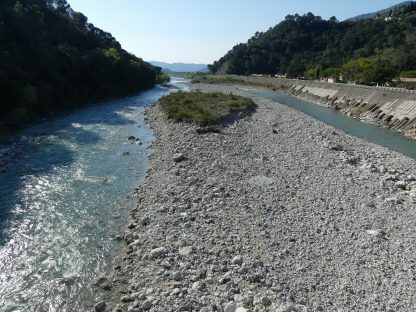 Using this procedure, surface velocity measurements and discharge estimates were obtained, allowing SPC to enrich its understanding of the site’s hydraulics. Today, new videos can be processed using the initial land survey. This makes it possible to continue monitoring discharge on the site using on-site videos. Given the difficulty of accessing the site in flood and the quality of the results obtained, the SPC is now planning to install a CamFlow fixed camera to monitor the site continuously.